SOLAR BROKER - HOW DOES SOLAR PANELS WORK? Solar Broker helps homes & businesses source solar power system quotes from a range of Solar Installers. Are you wondering what size system you need for home or business? Solar installation companies often will want you, to get the biggest solar power system they can sell you. Solar Broker will help you make an educated decision on your solar power system, so you get a solar system that adequately services your electricity consumption. There is no point buying a bigger solar system if you don’t need it! We can help you make an informed decision about your electricity consumption & solar needs! Domestic Solar systems have come down in price recently, so it makes sense to shop around. Don’t pay more for your solar power system than you need too. 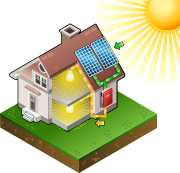 You probably used a mortgage broker for you home loan, so why not use a Solar Broker for your new solar power system? 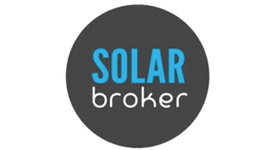 What does Solar Broker need from you? We only need few details from you, about your electricity consumption so you make an informed decision about your new solar power system. Searching for Solar Panels can be a daunting task, but using Solar Broker makes going solar easy! We know what a great solar system price looks like, so use our free service so we can make the solar buying experience more informed. Make the right the decision & use our Free Service! Simply enter the below details below so we can help you with your Solar Panel System today…! Our Service is 100% FREE for Consumers & Businesses! Solar Broker is here to help you learn more about the benefits and costs of installing a solar energy system in your home or business. Rising energy costs have meant that ‘going solar’ has become a more financially attractive option for many people throughout Australia, which has some of the best sunshine levels in the world. Australia has now had over 1.4 million solar installations. Installing solar panels in your home or office can provide a wide range of benefits including direct savings on your energy bills. What are you waiting for? Get your free Solar Broker report and receive solar quotes now. All you need to do is fill in our easy online form. Does your business need to cut costs? 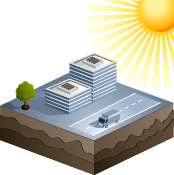 Commercial Solar Installation is an easy way for your business to save on electricity costs. Pay back periods now are very low, and it makes good commercial sense to get a commercial solar installation done. We work with many experienced commercial solar companies that can get the installation done correct. You will want your Business Solar System to last, so it pays to use a good installer. We can also help you with finance & understanding your commercial solar needs. Your feed-in tariff is the amount per kilowatt hour (kWh) paid back to you when you pay your unwanted energy back to power companies. Your feed-in tariff depends on your energy retailer and which state in Australia your property is located in. See feed-in tariffs page for more information.